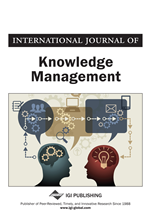 The article proposes a simple framework termed ‘knowledge fusion’ to extend the rigor and relevance of knowledge management (KM). It points to some gaps in the current body of knowledge about KM, and provides a parsimonious set of ‘partitions’ that link to and from traditional knowledge management research and practice. It proposes that attention be paid to knowledge mobilization that reflects the demand side that is dominated by knowledge being part of individual identity and hence personal choice of whether, where, why and with whom to share knowledge and expertise as oppose to just understanding the traditional knowledge management that addresses only the supply side of information and the creation of environments for communication and collaboration, especially those “knowledge” largely being independent of the individual.